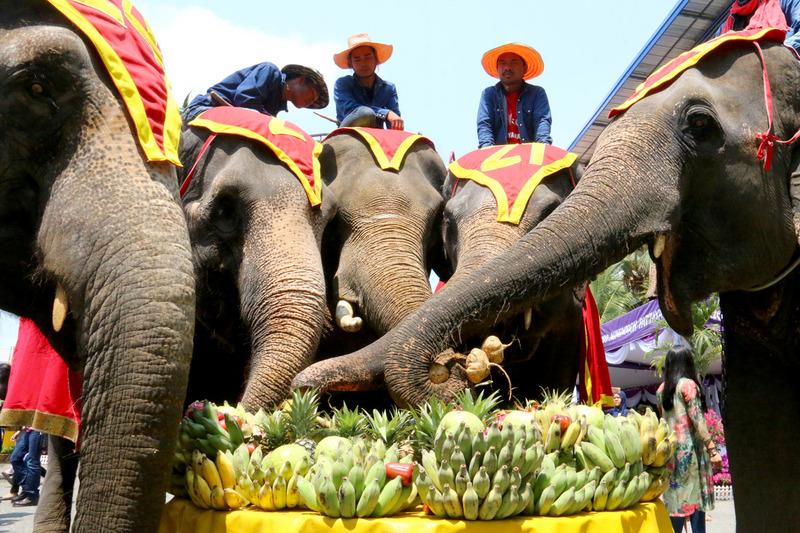 The biggest holiday of the year at Nong Nooch Tropical Garden – National Elephant Day – was celebrated with the pachyderms offering alms to monks and hitting the buffet table. 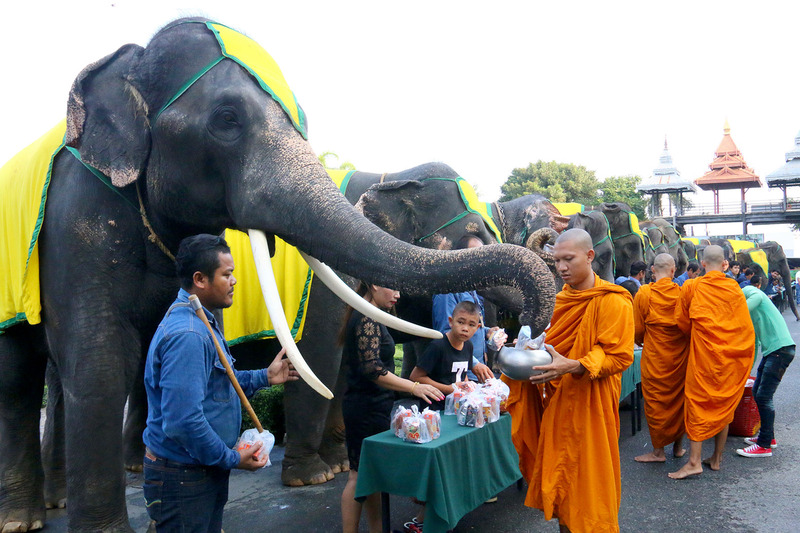 Park Director Kampol Tansajja led 29 elephants to offer dried foods and rice to nine monks from Samakkee Banpotamee Temple and Abbot Kaseamkittisophon at the Najomtien park March 13. The head monk blessed the jumbos with holy water before the start of the “hongkhwan” ceremony, which pays respect to the spirit living inside each animal that is responsible for its psychological and spiritual well-being. The beasts then enjoyed a fruit lunch buffet at noon. … and hitting the buffet table. Kampol said Nong Nooch long has been a protector of elephants and each year tries to raise awareness among Thais about the need for their preservation in the face of the illegal ivory trade. Elephants have a long, proud legacy in Thai history and they need to be protected, he said.